After 5 years in practice and 20 years in the pharmaceutical industry, David Burch, a veterinarian and Director of Octagon Services set up the company in 1999 to offer a specialist consultancy service to the animal health industry. With broad experience in technical services, development and marketing, in particular in the pig and poultry antimicrobial field and in swine vaccines, he has been able to assist a number of International Companies to develop, register and market their products. 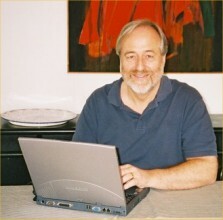 David had published over 150 papers and articles in the scientific and industry press on pig and poultry diseases and their treatment and control. 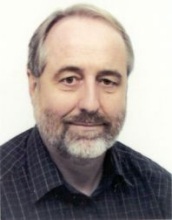 He produced The Pig Journal (1998-2008) and in 2008 co-authored the Chapter on the "Guidelines for Antimicrobial use in Swine" in 'Guide to Antimicrobial Use in Animals' (Blackwell Publishing) and in 2013 authored "Antimicrobial Drug Use in Swine" in 'Antimicrobial Therapy in Veterinary Medicine, 5th Edition' (Wiley Blackwell). David is a member of the Association of Veterinary Consultants (a mainly European industry consultancy association) and is an advisor on antimicrobial issues and is a member of the Responsible Use of Medicines in Agriculture (RUMA) Alliance. David was a visiting lecturer in Pig Medicine at the University of Liverpool’s Veterinary School between 2003-16. In 2012, David Burch was awarded the Diploma of Fellowship by Thesis by the UK’s Royal College of Veterinary Surgeons, thus gaining the title "FRCVS". His thesis was "Examination of the pharmacokinetic/pharmacodynamic (PK/PD) relationships of orally administered antimicrobials and their correlation with the therapy of various bacterial and mycoplasmal infections in pigs". 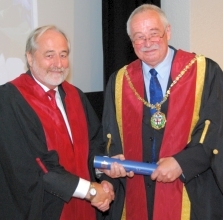 In 2006 David was awarded the Diploma (de facto) of the European College of Porcine Health Management and in May 2006 was elected president of the Pig Veterinary Society (a specialist division of the British Veterinary Association) and was made an Honorary Member in 2008. In November 2006, he was honoured to receive the ‘Marbocyl’ achievement award from the PVS "For services to the UK pig industry". In February 2016, David was recognised by the Royal College of Veterinary Surgeons in the UK to be a Specialist in Pig Medicine. David Burch fully retired from December 2017. Lecturer (visiting) in Pig Medicine: University of Liverpool, Faculty of Veterinary Science from 2003-2016. "Antimicrobial use in the UK Pig Industry" - a report for BPEX, 2014.